Start off your visit on the 18th (Thu): take in the spiritual surroundings of Basilique Notre Dame de Fourviere, then appreciate the extensive heritage of Vieux Lyon, and then admire nature's wide array of creatures at Parc de la Tete d'Or. To see photos, where to stay, reviews, and more tourist information, go to the Lyon itinerary planner. Manila, Philippines to Lyon is an approximately 25-hour flight. Traveling from Manila to Lyon, you'll gain 7 hours due to the time zone difference. Prepare for much colder weather when traveling from Manila in May: high temperatures in Lyon hover around 24°C and lows are around 13°C. Wrap up your sightseeing on the 19th (Fri) to allow time to travel to Nice. Explore hidden gems such as Place Massena and Musée Marc Chagall. 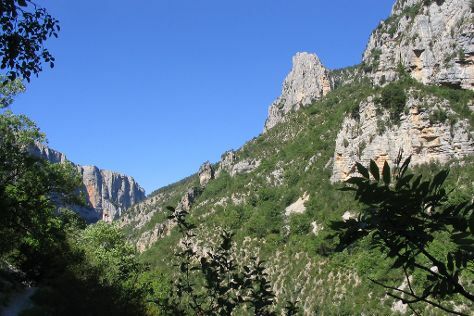 Step out of Nice with an excursion to Chapelle Notre Dame du Roc in Castellane--about 1:25 hours away. There's lots more to do: take in breathtaking views at Les Gorges du Verdon, appreciate the extensive heritage of Vieille Ville, get outside with Tete de Chien, and take in nature's colorful creations at Le Jardin exotique d'Eze. To see photos, reviews, traveler tips, and more tourist information, go to the Nice vacation planner. You can fly from Lyon to Nice in 3 hours. Other options are to drive; or take a train. Traveling from Lyon in May, plan for a bit warmer nights in Nice, with lows around 17°C. Cap off your sightseeing on the 21st (Sun) early enough to go by car to Turin. Step off the beaten path and head to Piazza San Carlo and Parco del Valentino. You'll find plenty of places to visit near Turin: Col di Sampeyre (in Stroppo) and La Venaria Reale (in Venaria Reale). Next up on the itinerary: see the interesting displays at Museo Nazionale dell'Automobile, steep yourself in history at Palazzo Reale, admire all the interesting features of Juventus Stadium, and don't miss a visit to Piazza Castello. For traveler tips, maps, other places to visit, and tourist information, refer to the Turin tour planner. You can drive from Nice to Turin in 3 hours. Alternatively, you can take a bus; or take a train. In May in Turin, expect temperatures between 24°C during the day and 15°C at night. Wrap up your sightseeing by early afternoon on the 25th (Thu) to allow time for the car ride to Venice. Explore hidden gems such as Isola di Burano and Scrovegni Chapel. Explore Venice's surroundings by going to Padua (Prato della Valle & Basilica di Sant’Antonio - Basilica del Santo). There's much more to do: take a stroll through Cannaregio, take in the architecture and atmosphere at St. Mary of the Friars, admire the striking features of St Mark's Campanile, and don't miss a visit to Dorsoduro. To find photos, where to stay, maps, and other tourist information, you can read our Venice itinerary planner. Traveling by car from Turin to Venice takes 4 hours. Alternatively, you can take a train; or fly. Expect a daytime high around 25°C in May, and nighttime lows around 15°C. Wrap up your sightseeing on the 28th (Sun) early enough to take a train to Florence. Explore hidden gems such as Centro Storico and Piazza dei Miracoli. Venture out of the city with trips to Bologna (Basilica - Santuario di Santo Stefano, Torri degli Asinelli e Garisenda, & more), Le mura di Lucca (in Lucca) and Siena Cathedral (in Siena). The adventure continues: admire the striking features of Abbazia di San Miniato al Monte, get engrossed in the history at Basilica of Santa Croce in Florence, don't miss a visit to Cathedral of Santa Maria del Fiore, and browse the eclectic array of goods at Mercato Centrale. For maps, photos, reviews, and more tourist information, read Florence travel itinerary planner. You can take a train from Venice to Florence in 2.5 hours. Alternatively, you can drive; or fly. May in Florence sees daily highs of 28°C and lows of 13°C at night. Finish your sightseeing early on the 2nd (Fri) so you can take a train to Rome. Discover out-of-the-way places like Church of St. Louis of the French and Fontana dei Quattro fiumi. 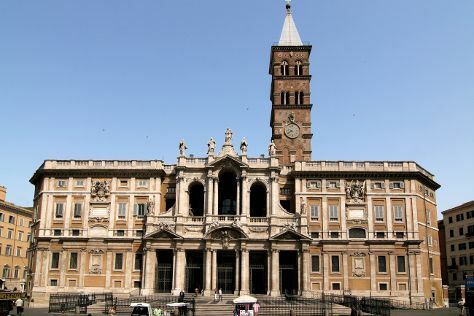 There's lots more to do: pause for some serene contemplation at St. Clement Basilica, don't miss a visit to Villa Borghese, take in the spiritual surroundings of Arcibasilica di San Giovanni in Laterano, and take a stroll through Trastevere. To find maps, other places to visit, traveler tips, and other tourist information, refer to the Rome vacation trip planner. Traveling by train from Florence to Rome takes 2 hours. Alternatively, you can drive; or fly. Expect a daytime high around 33°C in June, and nighttime lows around 20°C. Wrap up your sightseeing on the 4th (Sun) to allow time to travel back home.